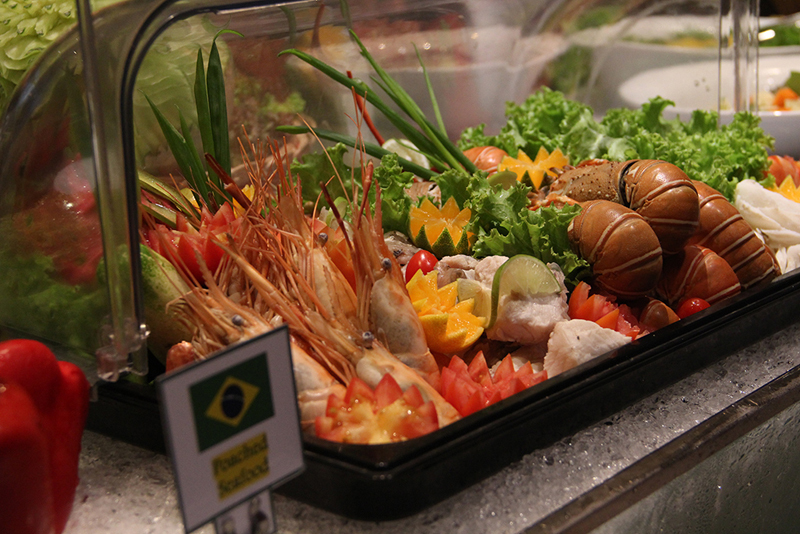 Yangon, Myanmar, 5 September 2015: Chatrium Hotel Royal Lake Yangon held a launch of a Brazilian BBQ Buffet Dinner for the press at The Emporia Restaurant on the evening of the 5th September 2015 (Saturday). On this occasion, H.E Mr Alcides G. R. Prates (Brazilian Ambassador of Myanmar) attended as an honorary guest and delivered welcome remarks. As per the program, Ms May Myat Mon Win, General Manager of Chatrium Hotel Royal Lake Yangon added thank you notes to guests and media. 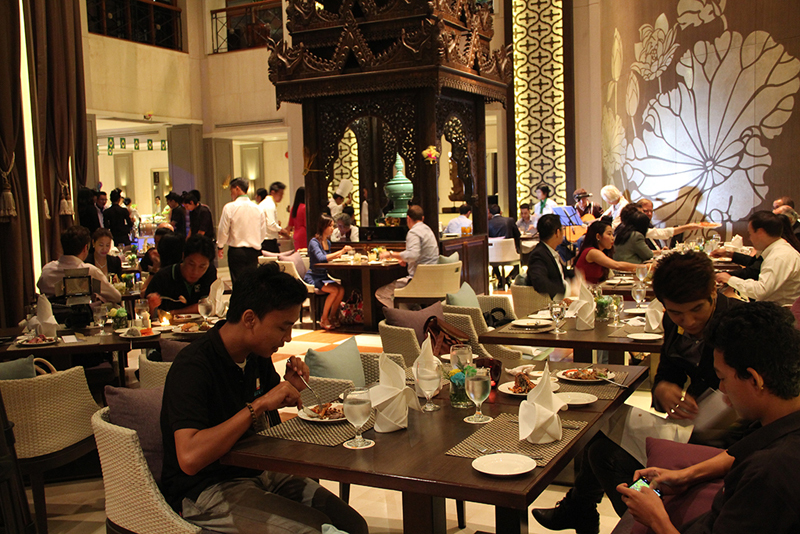 Then she introduced Mr Naing Tun @ Steven, Asst F&B Manager to the media. Later, Mr. Steven thanked those in attendance and explained that at The Emporia Restaurant “guests can enjoy the real taste of Brazilian BBQ buffet at the Emporia Restaurant every Friday to Sunday. Original Brazilian beef and Brazilian Rum is used to create Caipirinha cocktails. Live Brazilian guitar music can also be heard during the night. 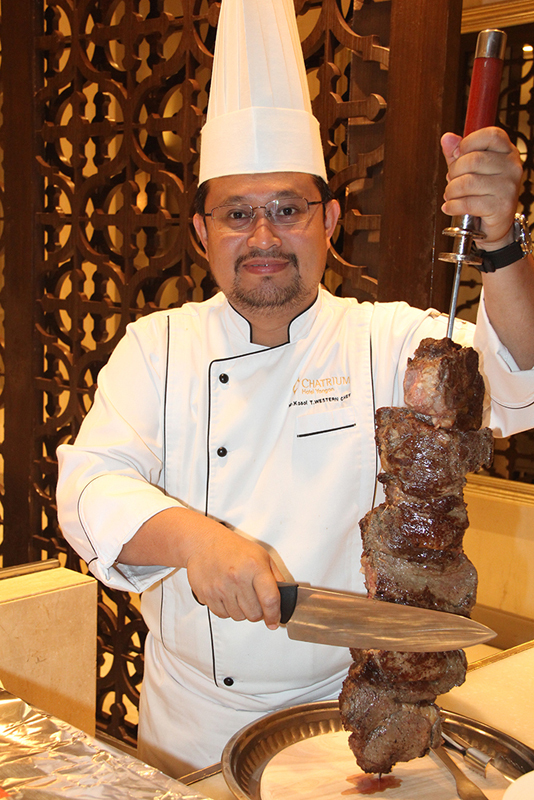 We would like to invite all our loyal customers and new guests to come experience Brazilian BBQ buffet.” After that the western kitchen executive chef Mr Klause Kosol and his team brought BBQ skewers to the restaurant and carved table-side and then served the guests. All guests enjoyed the BBQ buffet with a special Brazilian National Cocktail, Caipirinha that is very well matched with Brazilian Beef BBQ. Brazilian BBQ is amazing, serving the finest prime meat (especially Brazilian Beef) on a metal skewer turned slowly over a grill pan, carved table-side. 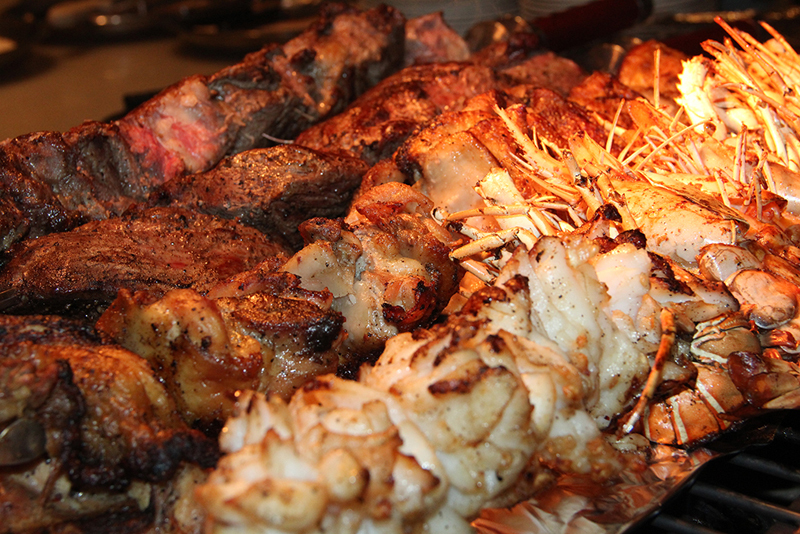 Explore Brazilian BBQ and a wide variety of appetizers, salads, soups, hot dishes, seafood, clams, desserts, fresh fruits and juices. The buffet includes a complimentary glass of Brazilian Caipirinha cocktail, Wine, Beer or Soft drink. Brazilian live guitar is added, what else is needed?